We now return to your regularly scheduled Albert the Alien adventure, already in progress. We see here the cover for Chapter 6, which is the 2nd part of the Substitute Teacher from Planet X story line. When we last left our heroes, Homecoming was coming up soon and everyone is wondering who is going to be crowned King and Queen this year. Many speculate it will be the most popular kids in school: Flip Johnson and Patricia Chricton. However, some think that Albert may take the crown by default, since he’s become so popular since arriving on Earth. After an adventure during their 7th grade play (involving Wally taking over the thing and reciting Shakespeare…badly), the English teacher encountered the Alien School Supplies. And they did something evil and nefarious to her. What could they have done? 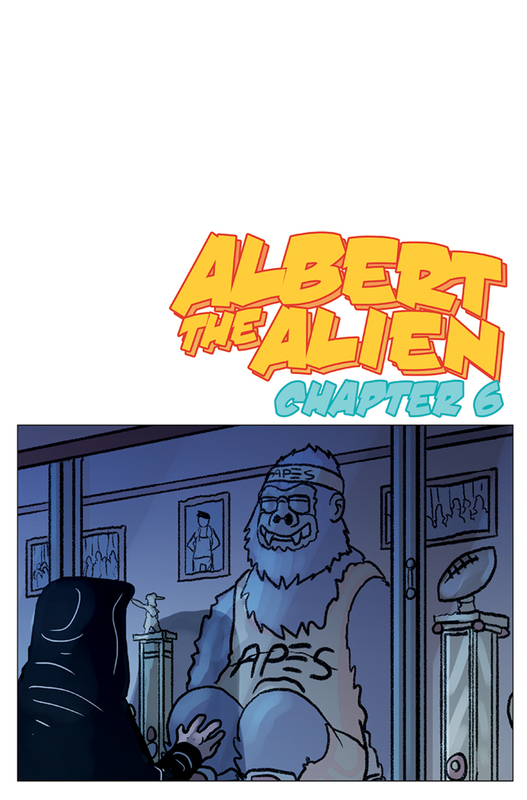 Well, we’ll find out in this thrilling installment of Albert the Alien!